The Saudi-led coalition resumed its targeting of residential areas and Yemen’s infrastructure on Sunday in multiple provinces, leaving 29 killed and wounded on a single day, including women and children; in addition to considerable damage inflicted by civilian property. 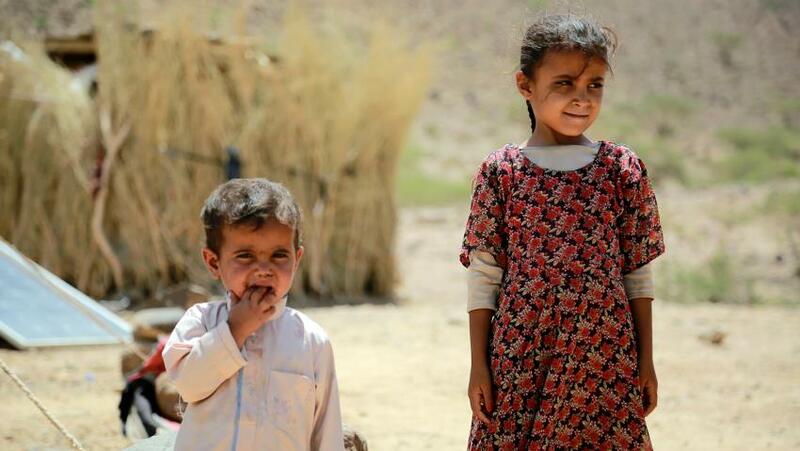 In Amran province, 24 civilians, including 8, of whom are mostly women and children, are from a single family that witnessed the death and injury of many of its members. Coalition warplanes also targeted the security department of Amran province using four raids while it conducted 2 airstrikes on the headquarters building of Communications, which led to the huge eruption of flames and thereby destruction. In the province of Saada, northern Yemen, a child lost his/her life after an aerial raid launched by the US-backed Saudi-led coalition on the area of Talan in the district of Haidan; in addition, it launched three raids on the areas of al-Nahawa and Talan in the aforementioned district and a series of raids on the district of Dhaher. A child was injured and various livestock were killed by an aerial attack on al-Ali area in the border district of Razih. Additionally, coalition warplanes launched 16 airstrikes on al-Azhour area while another raid targeted al-Qad area in Razih border district. Moreover, residential areas within the district of Razih were shelled by at least 100 Saudi rockets and artillery shells, leading to the injury of two citizens. Meanwhile, the border districts of Shada and Munebah were subjected to intense rocket and artillery attacks, causing material damage to houses and property of citizens. The coalition military aircraft also carried out more than three airstrikes on al-Azghul area in Sahar district, two raids on the Farwa area, four raids on Al-Mahathir area in the aforementioned district, and an aerial attack on al-Jawabi area. In Hodeidah province, two citizens lost their lives and another sustained injuries after two aerial Saudi raids targeted a civilian’s house in Nakhilah area in the district of Drehmi. It also waged two raids on the district of Al-Mughars in the district of Tahita. COnlcuding it with Marib province, the Saudi-led coalition targeted a vehicle possessed by an innocent civilian in the district of Serwah. Did the Saudis Really Use Daesh to fight in Yemen?